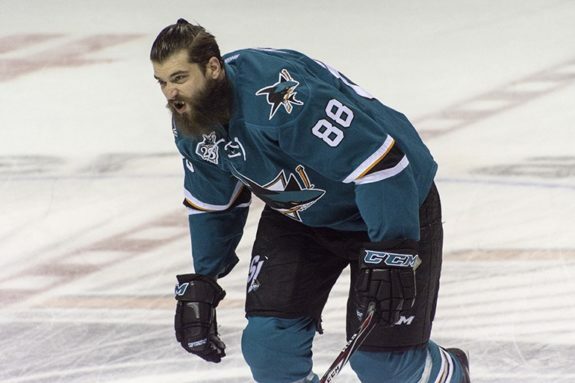 When it comes to uniqueness, perhaps no NHL defenseman has what Brent Burns has to offer. He is listed on defense but has the skill-set of a forward. He is 6-foot-5 and 230 pounds but has the agility of a speedy winger. He can undress a defender but also rip a slap shot with the velocity of a cannon. Sure, he has flaws. He gambles at times, and it costs him. He isn’t the soundest defenseman, and sometimes he’ll make a bonehead play in his own zone. But one thing’s for certain: When he’s on the ice, his presence is known. He makes plays happen. He shifts the momentum of the game and forces opponents to gameplan for him. It’s a roundabout way of saying that Burns is as valuable to the San Jose Sharks as any star player is to an NHL team, and when his contract expires after this season, it would be a travesty if General Manager Doug Wilson did not sign No. 88 to an extension. 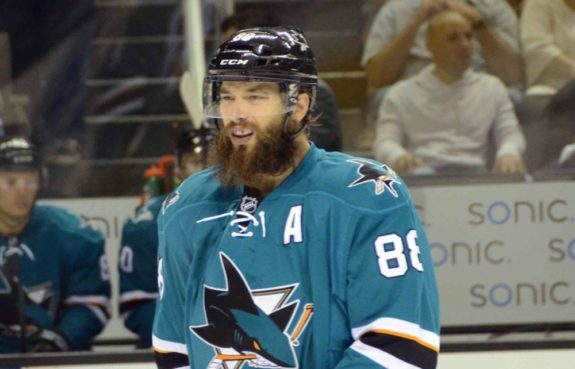 What is Brent Burns’ Value? Burns is in the final year of a five-year, $28 million extension he signed in 2011, making $5.76 million this season. It’s safe to say he will draw much more in his next contract. The 31-year-old had his best season last year, scoring 27 goals to lead all defensemen to go along with 48 assists for 75 points, second amongst defensemen behind Erik Karlsson. But being on the wrong side of 30 is a concern, especially for someone who plays as hard and fast as Burns. He is likely at his peak right now and will probably decline over the course of his next deal. Fear the Fin puts his value at $49 million over seven years. Winnipeg Jets defenseman Dustin Byfuglien, who is also 31-years-old and plays a similar style to Burns as an offensive-minded defenseman, was given $38 million over five years for an average of $7.6 million — that could be a fair starting point for negotiations. Then, there’s the question of whether or not Burns wants to stay. He didn’t exactly offer a rousing endorsement for staying long-term in San Jose when he spoke to CSN Bay Area earlier this month. “I don’t know, we’ll see,” he said. Implications are that he will sign an extension with the Sharks. I would put my money on it. Burns has proven himself far too valuable for the organization to let him go, and I think Wilson — who doesn’t comment on contract negotiations — knows that too. Likewise, Burns would be wise to remain where he is comfortable both on and off the ice. He has said he enjoys San Jose and found his role on the ice after years of tinkering with his position and skill set. He was acquired by the Sharks as a defenseman, switched to forward for a season after concerns over his defensive struggles, and then moved back to the blueline prior to the 2014-2015 campaign. Sure, it proves his versatility. But since moving back to defense, Burns has shown improvement at both ends of the ice, still performing as a dynamic force on offense but able to hold his own on defense. He knows his role, is familiar with the team and the style, and it might be a struggle for him to sign elsewhere for more money if that organization doesn’t know how to use his unique skill set. Earlier this month, TSN’s Bob McKenzie reported that “all signs point to” Burns returning to San Jose, but that “nothing’s been carved in stone one way or the other.” McKenzie also noted it was a “slow play situation,” keeping in line with Burns’ non-committal remarks. There is no question Brent Burns will receive calls from other teams if he hits the open market, but his value to the Sharks — and vice versa — makes it a no-brainer for the two sides to work something out as soon as possible.